Italiensk Kulturforening i Stavanger - Oratorio "Morte e Sepoltura di Cristo"
The Stavanger Symphony Orchestra will perform an almost 300 years old "oratorium", a large musical composition for orchestra, choir, and soloists. The Oratorio Morte e Sepoltura di Cristo ("Christ's death and burial") was composed by Antonio Caldara, an Italian Baroque composer born in Venice. It was premiered in 1724 and played on many occasions over the next few years, both in Germany and Austria. This Oratorio is a good example of Caldara´s great ability to let the text inspire the music, and create drama and empathy, almost as in the theatre. 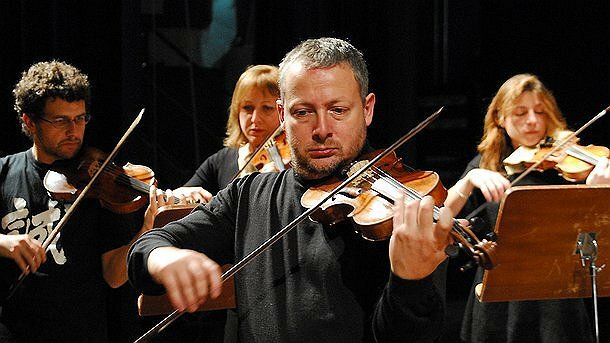 The director and violinist Fabio Biondi will be the conductor for this evening, and 5 internationally acclaimed singers and soloists will perform. For the members of IKIS, there will be a special price of only kr 150 per ticket (maximum 2 tickets per member), over all the sections, subject to availability.